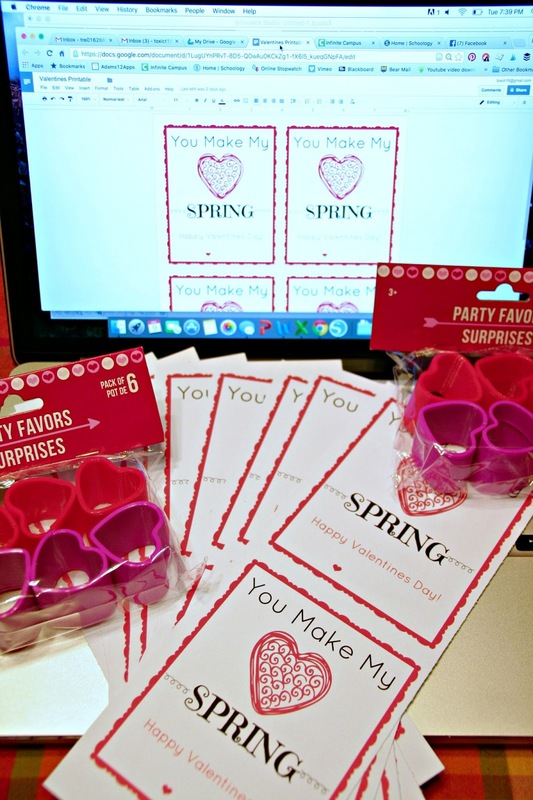 Today is my sons Valentine’s Day party. It has been a whirlwind week in our house and finally I had a moment to post the Valentine’s that he is passing out today. 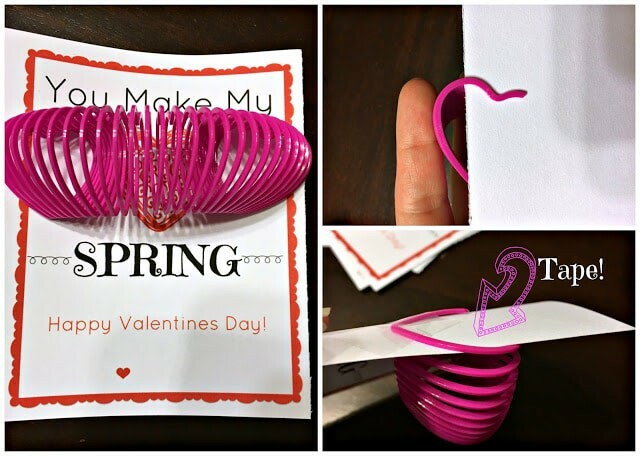 This Valentine’s Day Slinky Card was super budget friendly and with my printable, it took less than 5 minutes to put together. I created a quick printable and uploaded it in google docs. You can open that here and print from home. I printed on card stock and then gathered the rest of my supplies. I grabbed 3 bags of the heart shaped slinky’s at the dollar tree for $1.00 each. You also need the printable and some tape. In total this cost $3.00 because I had tape and card stock already. They were simple to construct. 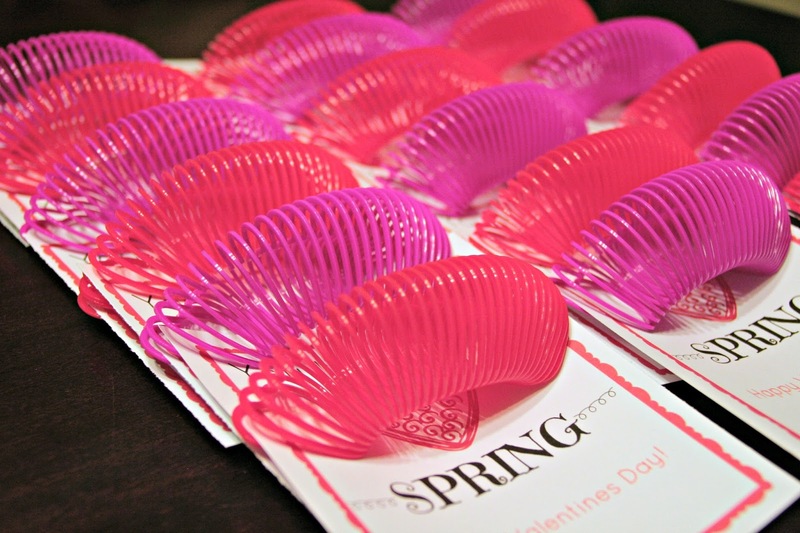 All I did is slide each end of the slinky’s across the card and used tape to hold the ends onto the card. You can see that better below. 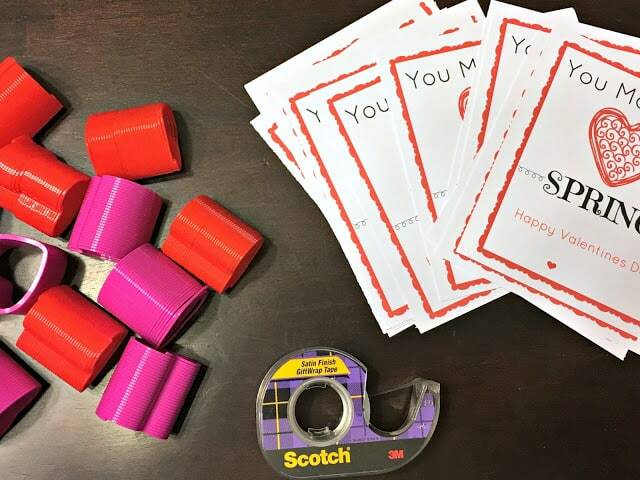 In total I made 18 “You Make my Heart Spring” Valentine’s Day treat for my son’s class. I am super excited to see the kiddo’s faces today and celebrate a day of love. Please feel free to share and print these out HERE. 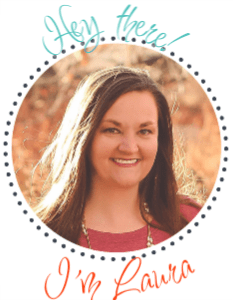 Save time and cash and impress your kids! Yay to LOVE!